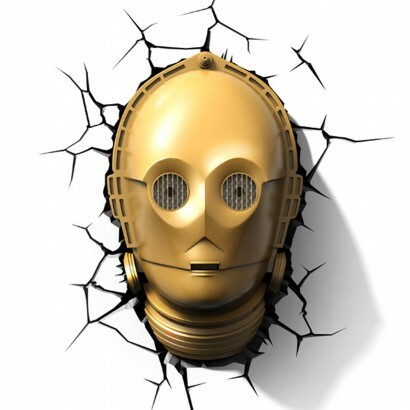 Sensible and loyal, who better to protect you from the dark than trusty droid C-3PO? The Star Wars sidekick appears to have crashed through your wall and peers into your room with glowing eyes that emit enough light to see off the Darkside of the Force. Lit by yellow LED's and battery operated, C-3PO remains cool to the touch and with no trailing wires can be placed anywhere in your room. 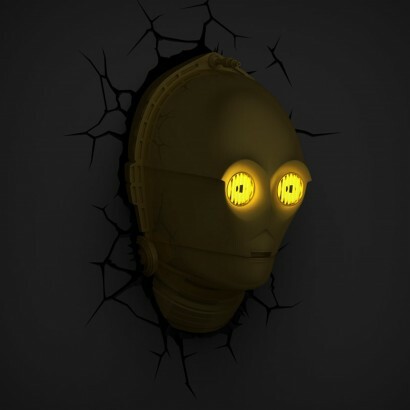 Fix the crash through backing sticker to your wall and place C-3PO over the top to complete the awesome effect for a night light that's out of this world! 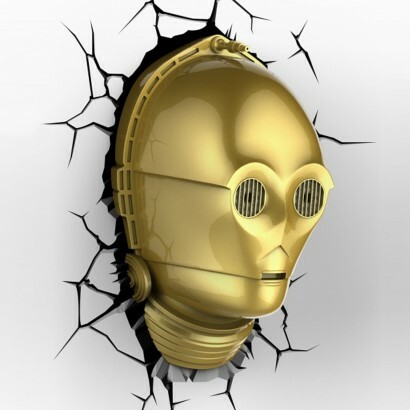 C-3PO appears to have smashed through your wall!